First Class Cleaner provides domestic and commercial window cleaning services in Canary Wharf, E14. Our cleaners are available seven days a week. We do have a number of contenders offering professional services in windows cleaning in Canary Wharf, E14 but the majority in the area choose our company. One reason why we have a large client base is that we offer value for money services to our clients. 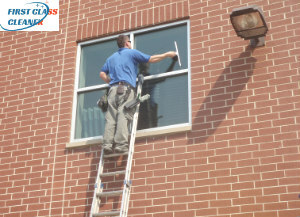 We are equipped with all the necessary equipments and tools in order to offer perfect clean windows. While offering services we make sure that our methods are effective on the properties and are safe too. We have minimised the use of chemicals in cleaning as far as practicable. 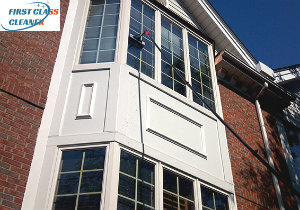 Do call us if you are looking forward to professional windows cleaning. We believe that our customers deserve to get a top quality window cleaning service at cost – effective prices and we strive to provide them with it. We have a team of hardworking, reliable individuals who won’t just hang around. They will clean the windows of your home or office fast and they will respect your property. No strikes, drippings or mess will be left when the service is carried out. You can find them every day in the area of Canary Wharf, E14 so hurry up and make a booking. Our window cleaners will arrive equipped with professional squeegees, window wands and extensions that makes their job even more efficient. 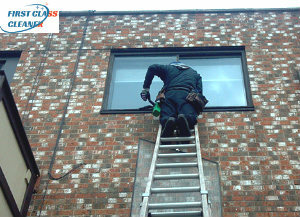 Window cleaning on commercial properties is especially important to London business owners. Due to the high amount of smog and emissions pollution, windows get dirty faster. No business wants to give the appearance of neglect, especially to new potential clients, and in business appearance is tantamount. Which is why our window cleaning business only offers quality cleaning, guaranteed to leave clean and streak free windows. We only use the best cleaning products, and all our cleaning crew are fully trained and insured. So If you are in the market for a window cleaning service which cannot be beaten, then pick up the phone now and start the ball rolling. The residents of Canary Wharf, E14 have always preferred us over other cleaning companies because we have always offered them what they want. We understand both the expectation of our clients as well as our commitment well and thus make sure that our services are close to perfect. We are based at Canary Wharf, E14 and we aim at making our clients happy and satisfied. We have all the equipments and cleaning supplies needed to have an optimum result in cleaning. Besides, our professionals are all licensed, registered, and insured, so that you can trust them completely with the safety of your property. Dial our number to avail of our services.